Nearly over a hundred years ago in the midst of December, a boy in America found a cardboard banjo atop a pile of trash in an alley. Delighted, he brought the miniature home to his older sister, giving it to her as a Christmas present. Their family was not rich, and the small, whimsical thing brought his sister much joy. The girl loved it, treasured it, couldn’t wait for the next holiday season to come around so that she could hang it on her family’s tree. The next year came, but her brother didn’t survive to see the banjo hung, having succumbed to Spanish flu. The girl would keep the banjo with her throughout her childhood and into her adulthood, retelling the melancholy tale to her children, and, eventually, her grandchildren, each Christmas. One of her grandchildren is historian and retired teacher George Johnson. “Through my research, I found that it was actually a little candy container,” said Johnson, referencing the extensive holiday research that he and his wife have conducted, something they took up while in graduate school as a way to understand the Victorian-era furniture they were buying for cheap to furnish their first apartments. 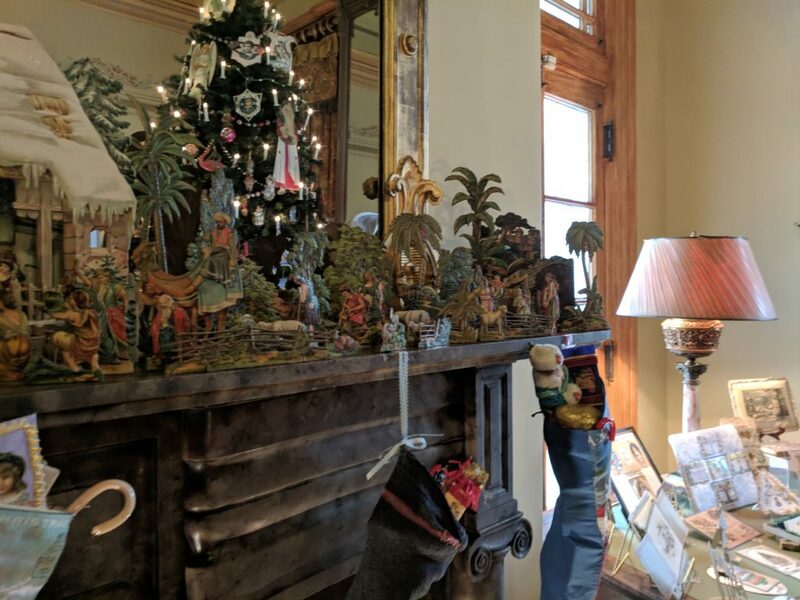 Johnson has been responsible for numerous holiday displays at the Decorative Arts Center of Ohio in Lancaster, and this holiday season is no different. This year the museum presents Victorian Grandeur, the entire Rising Room of the center filled with artifacts celebrating Christmas from 1860 to 1900, complete with an opulent 10-foot tree. On Sunday, December 3 at 2 p.m. Johnson will speak specifically on the nature of a Victorian Christmas tree at the center. Cost for attendance is $8 for members ($5 prepaid reservation,) and $10 for all others. Johnson and his wife do not only collect Christmas things – they collect artifacts from Easters and Halloweens past, as well. Last February they put together the stunning collection of Valentine’s Day ephemera that was on display at DACO. Although they are stewards of all kinds of old things, Johnson said their Christmas collection was the original one. Johnson and his wife put an ad in the local paper inquiring about such lights, and, surprisingly, they received more responses than they could have anticipated. 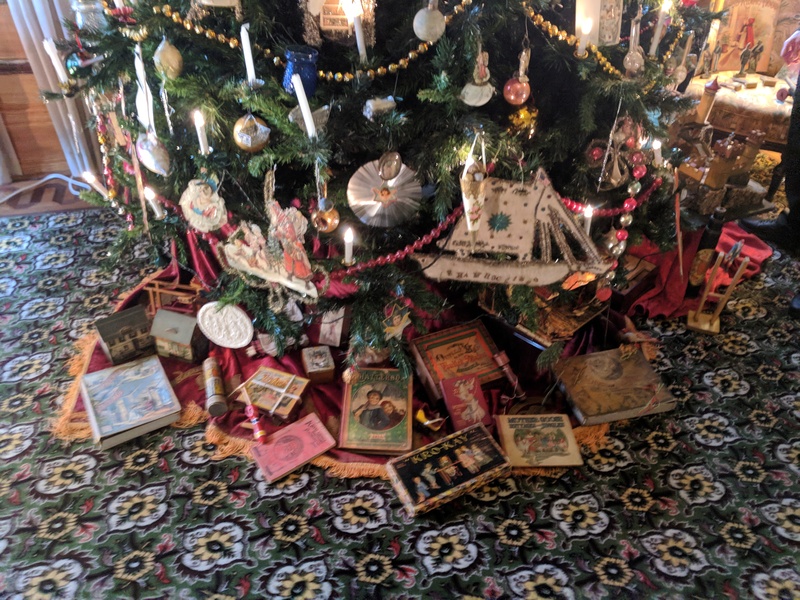 The tree in the Rising Room at DACO is stunning – laden with antique ornaments, artificial candles, period chromolithographs, tinsel, and more. Although the tree currently on display at DACO represents a sort of undefined, collective memory of an era that is far in the past, last year the museum hosted a series of period trees prepared by Johnson, starting in the ‘50s and through the ‘80s. 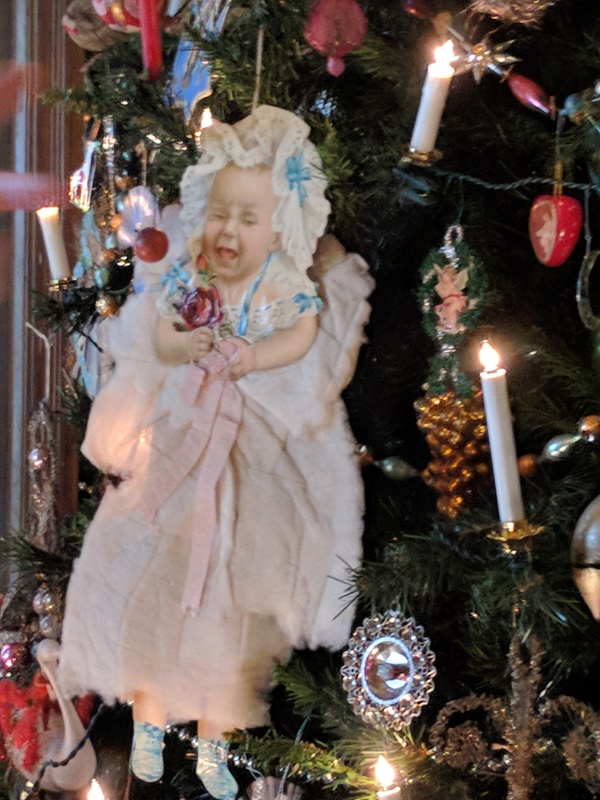 Christmas at the Reese-Peters House – December 12, 6 – 8 p.m.
Join the museum for an evening of fun featuring holiday treats and even a visit from Father Christmas himself.